The best Japanese skin care products for acne prone skin should keep your pores clean and do not dry out your skin. These are the 2 essential points in treating acne, especially adult acne. If you have been to Japan before, you would have noticed that hardly any Japanese women have acne on their skin. Therefore, Japanese skin care products are perfect for keeping your skin clear from acne and blemishes! Attenir Skin Clear Cleanse Oil is a cleansing oil that has been so popular for a couple of years now. It won 2 major awards in 2016, which are @Cosme Best Cleansing Oil and Best VoCE Monthly Ranked Cleansing in March. Attenir Skin Clear Cleanse Oil is loved by many Japanese women as it removes makeup and sunblock easily and has a nice scent which feels so calming. In addition, many Japanese women have remarked that their skin becomes brighter after using this cleansing oil as this cleansing oil also has brightening properties to eliminate skin dullness and fade dark spots like acne scars. The key ingredient that does this is Rock Rose Oil. While many cleansing oil would dry out the skin, Attenir Skin Clear Cleanse Oil leaves the skin feeling soft, bright and plump due to its 4 luxurious beauty oils which also have anti-aging properties. It is not necessary to follow up with a face wash but I would recommend you to use a face wash after using this cleansing oil if you have acne prone skin. Many people neglect the need of a good and gentle cleanser because after all, a cleanser’s purpose is to wash off the dirt from your face and does not stay on your face for a long time unlike other skincare products. However, it is very important to choose a gentle cleanser that does not strip your skin of moisture. If your skin feels tight and squeaky clean after cleansing, it is not a good sign as it means that the cleanser is stripping your skin dry. Those of you with acne may think it is a good thing but it isn’t that case because a wrecked skin moisture barrier will cause your skin to produce more oil and bumps. 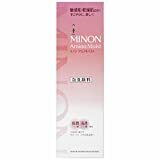 Minon Amino Moist Gentle Wash Whip is perfect for those with acne prone skin. The cleanser is dispensed in the form of fluffy foam of which the tiny bubbles will clean your skin thoroughly and gently without making your skin feel tight. This cleanser will not disrupt your skin barrier due to its 9 moisturizing amino acids and ceramides which protect and support the barrier function of the skin. In addition, this Minon Amino Moist Gentle Wash Whip will not leave any oily residue on the skin which is important because an oily residue could potentially cause more breakouts on your skin. Takami Skin Peel is a cult product in Japan that is highly recommended for those suffering from acne and acne scars. It is also effective to shrink large pores. This product is very popular because it delivers obvious results and makes your skin clear and smooth. Takami Skin Peel is not a strong peeling treatment as it is a gentle treatment that can be used daily. After cleansing your skin, apply half the amount on the dropper on your face and leave it on for 3 minutes for the product to penetrate into your skin, and then continue with your skincare regime. Do not wash off or wipe off this product. Orbis Clear range targets the main causes of recurring acne. Due to hormonal imbalances, antimicrobial peptides would decrease which then lowers the protective functions of the skin. As a result, there would be repeated breakouts on the skin. Therefore, the solution is to increase the antimicrobial peptides so the skin will be more resistant against acne. The key ingredients in Orbis Clear Lotion are Gromwell Root Extract which enhances the protective function of the skin; Licorice Root Extract that contains anti-bacterial properties which will prevent the aggravation of acne ; Coix Seed Extract and Permeable Collagen which will make the skin smoother and renew the skin. These active ingredients will be delivered deep within the pores using Deep Delivery Formula. b.glen C serum is a beauty essence which contains a high concentration of vitamin C. Skin care products with vitamin C are recommended for acne prone skin as it suppresses excess sebum and helps to prevent acne. Moreover, vitamin C also has a brightening effect so it is effective for acne scars and dullness. Vitamin C also helps to minimize large pores which are common among those with acne prone skin. Additionally, Vitamin C is an antioxidant and helps to fight against skin aging such as sagging and wrinkles. Even though Vitamin C has a wide range of benefits, Pure Vitamin C is too unstable and cannot be absorbed into the skin effectively if just applied as it is. For those reasons, many skincare products incorporate Vitamin C Derivatives instead of Pure Vitamin C even though Vitamin C Derivatives are less effective than Pure Vitamin C.
b.glen C serum is more effective than many other vitamin C skincare products due to its advanced “QuSome” technology which was originally developed as a drug delivery system for the medical industry. With the Qusome technology, Pure Vitamin C is micro-encapsulated and can be delivered deep into the skin. Because Pure Vitamin C oxidizes quickly when exposed to external factors, b.glen C serum is packaged in an aluminum barrier tube which prevents deterioration from being exposed to light. Furthermore, it has an airless nozzle which does not allow air and bacteria from getting into the tube. Therefore, you do not need to worry about the stability of Pure Vitamin C when using this product. NOV is a very reputable brand in Japan as their products work very well for sensitive skin. NOV AC Moisture Gel is a moisturizer made for sensitive and acne-prone skin so it would not aggravate breakouts. Your acne prone skin needs a light moisturizer than provides gentle hydration and does not irritate your skin. NOV AC Moisture Gel contains Lipidure and Hyaluronic Acid NA to hydrate your skin effectively. It also contain Vitamin B6 derivative, Allantoin, and Photo-synthesizing Dye No. 201 to prevent acne and dry skin. Hydration is important for your acne prone skin so your skin will slowly get closer to the ideal oil-water balance. If your skin is acne prone, it means your skin is producing more oil then necessary and usually it is because your skin lacks water. By adding more water to your skin in the form of a gel moisturizer which lacks oil, your skin will receive more hydration (water) which will signal your skin to produce less oil. Lion Pair Acne Cream is incredibly popular in Japan and also in the neighbouring Asian countries. It is perhaps the most well-known Japanese acne cream and it is one of the must-buy Japanese skincare products if you have acne, or the occasional breakouts. Acne is painful and obvious on our skin, so for fast relief, you should try this Lion Pair Acne Cream which would quickly treat the acne and make it disappear. The active ingredient in Lion Pair Acne Cream is Piconol (IPPN) which has anti-inflammatory properties. This product is so popular as it diminishes acne overnight! Shiseido Anessa needs no introduction as it is one of the best-selling sunscreens in Japan. Shiseido sunscreens are very popular due to the cosmetic elegance and how well they protect the skin against the sun. Shiseido Anessa Perfect UV Sunscreen Aqua Booster offers high UV protection without leaving a white cast on your skin. It leaves a matte finish and it is lightweight so you will not feel uncomfortable when you apply this onto your skin. It absorbs quickly into your skin and does not feel oily. Shiseido Anessa is waterproof with Aqua Booster technology which means that the sunscreen protection becomes stronger when exposed to water. Best Korean Cleanser For Dry Skin – No Tight Afterfeel!